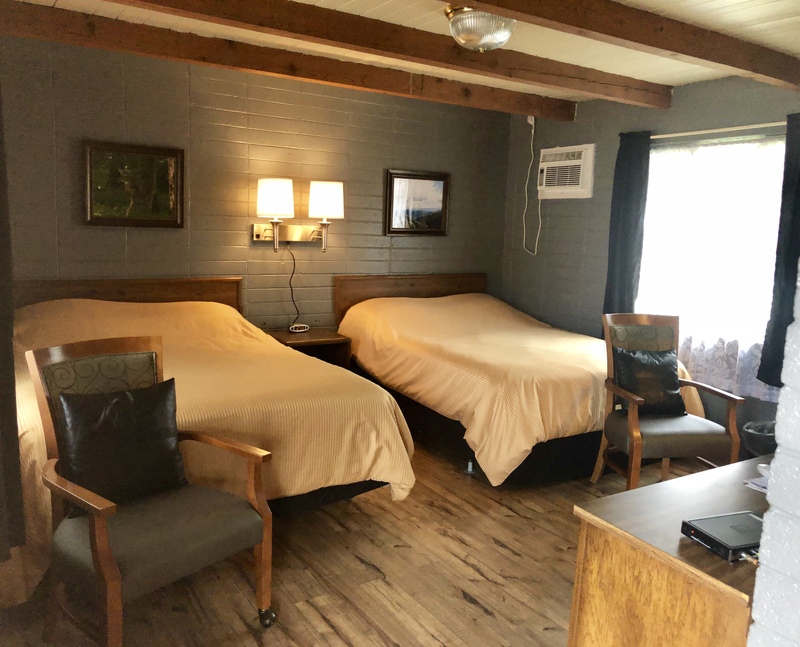 There are 16 total rooms here at Riverstone Lodge, all of which have been renovated [March 2019]. The original building has 8 rooms that are all on the lower level. These are standard size rooms. One room has a king bed and a stand-up shower. The others have 2 queens and a stand-up shower. The other building is two stories and also has 8 rooms. 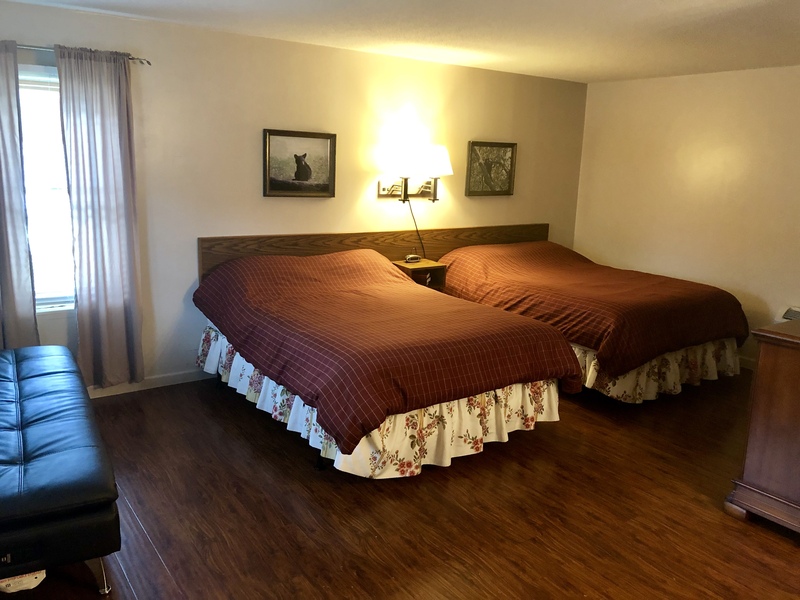 Four rooms are single queens with a couch for viewing TV or extra sleeping space. The other four rooms are larger than our standard rooms. They have a couch for viewing TV or extra sleeping space, plus a small table and chairs. The two larger rooms upstairs have small private balconies. 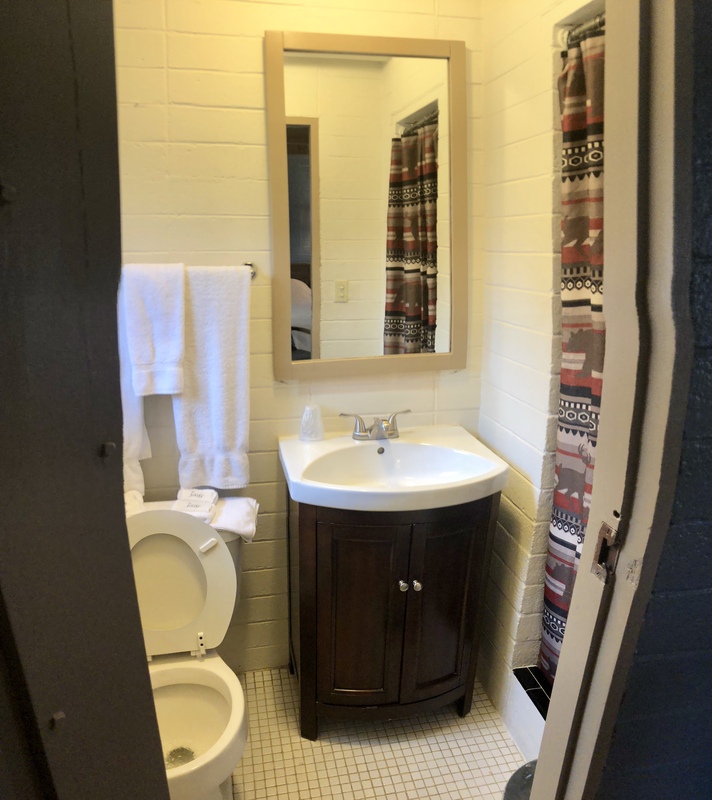 These rooms have larger bathrooms with a tub/shower. 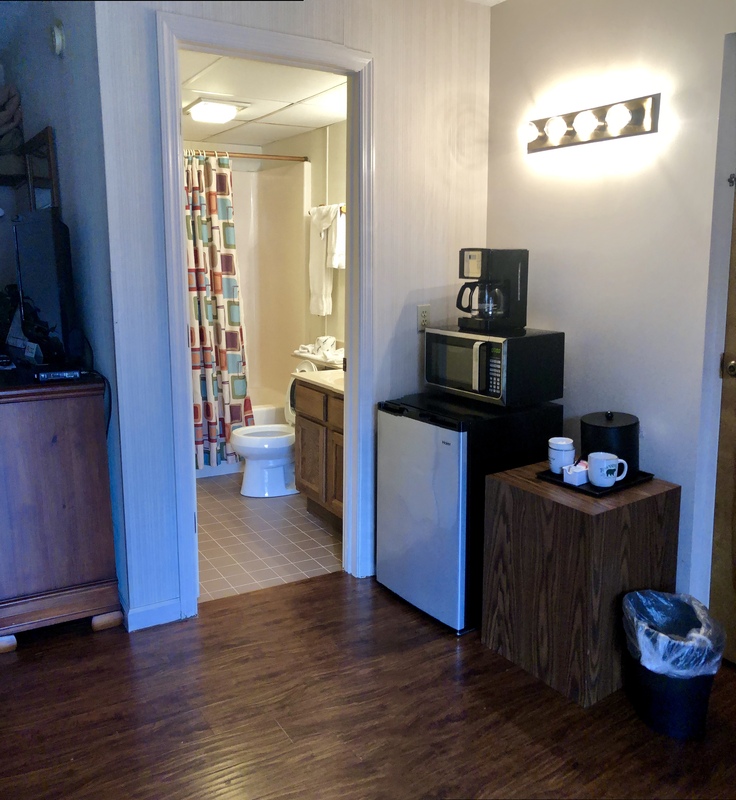 All rooms have personal refrigerators, microwaves, and 12-cup coffee makers with delicious coffee to start your day! We have 32" flat-screen TVs with lots of viewing options, including HBO, Encore, Starz, and sports channels. We also have WiFi. There are no phones in the rooms. We do have nationwide long distance in the office if anyone needs this amenity.